For the printer Graytor, we created a series of mailers/gifts that showed some the different capabilities they had at their site, and why Graytor is unique among printers. We started with Halloween and a die-cut card that included spider window-clings that were kiss-cut, so the recipient could use on a slick surface for the holiday. 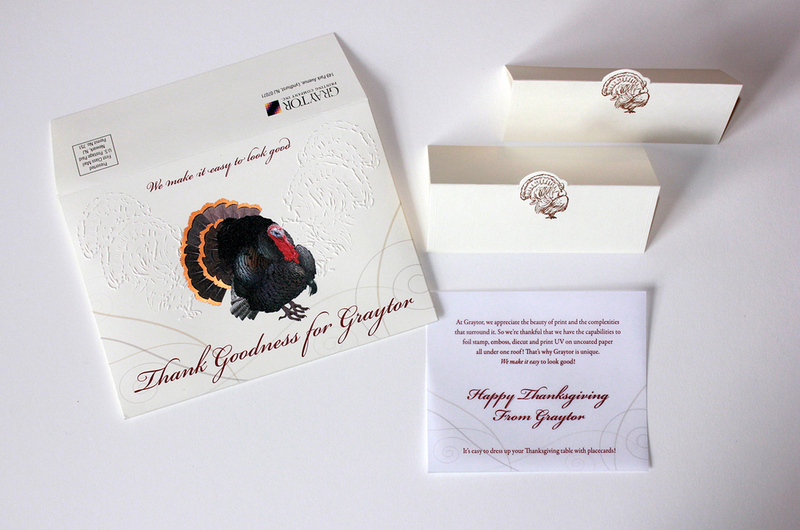 For Thanksgiving we made a 4 color, UV printed, foil-stamped, blind-embossed envelope containing 12 placecards. Christmas/New Years was a more straight-forward mailing. 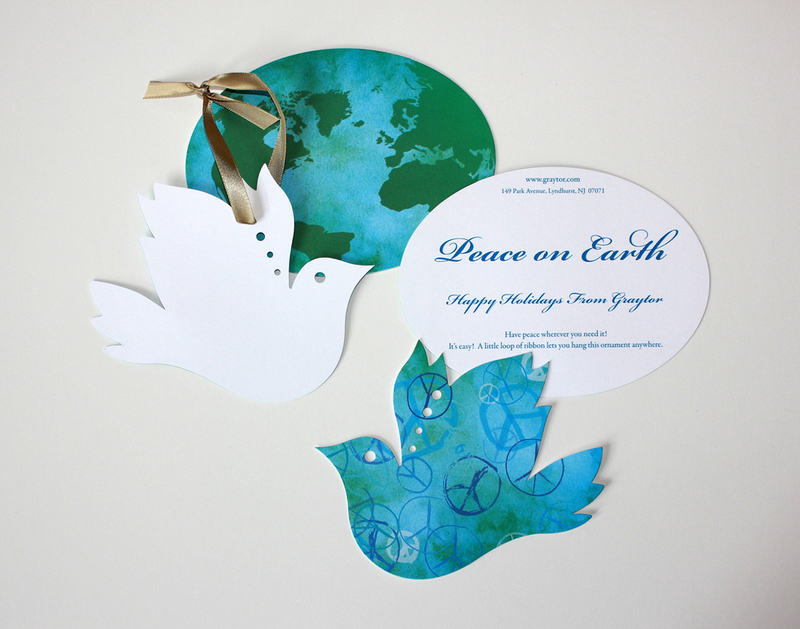 It provided an oval card and dove ornament. 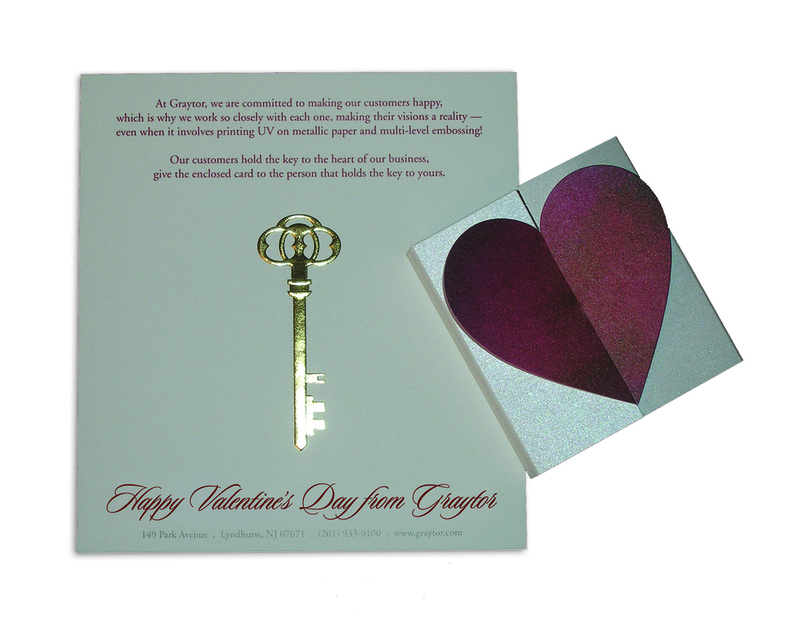 On Valentine’s Day we created a foil-stamped, multi-level embossed key and a reusable heart card. During and after the monthly campaign, the printer received thank you notes from impressed and grateful clients, and their business picked up measurably. Our own Christmas card one year was a package of origami paper with instructions on how to make your heart’s desire come true – just fold 1000 cranes. We provided the first one to get it all started. Through the years we have created many postcards and mailers for AIG. The one we show here is an example of one of the more whimsical versions. It is a large, clear postcard, where the window of the house is see-through, and the puzzle piece pops out of the rectangular mailer shape.